Watch Full Malayalam Movie Mimics Super 1000 release in year 1996. Directed by Balu Kiriyath, produce by Harikumaran Thampi, music by SP Venkitesh, and starring Jagadeesh, Sainudheen, Janardhanan, Baburaj, Kalabhavan Navas, Harisree Martin, Anusha. Sahayathrikakku Snehapoorvam is a 2000 Malayalam language film directed by M. Shankar. It stars Kunchacko Boban and Kavya Madhavan. 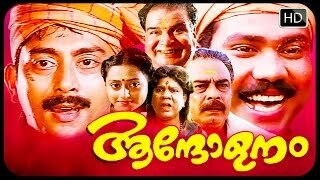 Deepasthambham Mahascharyam is a 1999 Malayalam film directed by K. B. Madhu starring Dileep as an Ottamthullal dancer who is caught in a love triangle with two girls. The film was the biggest flop of 1999. 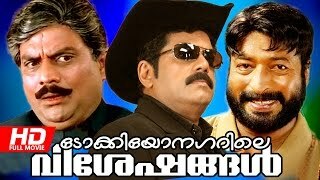 Name : Deepasthambham Mahascharyam Director : K.
Rishivamsham is a 1999 Indian Malayalam film, directed by Rajeev Anchal, starring Vijayaraghavan and Chanchal in the lead role. 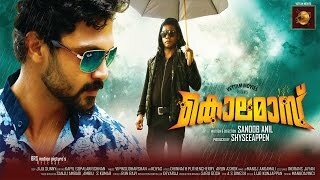 My Dear Karadi is a comedy drama directed by Sandhya Mohan with Kalabhavan Mani in the lead role. Kalabhavan Mani appears as a bear in major parts of the film. A family-drama about a brother and two sisters in a close-knit family who find their bond tested by the arrival of the new haughty and proud daughter-in-law. Starring Jayaram, Jagathy Sreekumar, Narendra Prasad and Abhirami & directed by Rajasenan.